Choosing the de Boerderij venue to present your new, DPRP recommended, album The Lamplighter to the world is excellent. An Anima Mundi baby, delivered exactly nine months after their previous visit to the Netherlands! I know the album is a high quality recording and I know that these passionate Cubans are absolutely a high class live band. So I expected real fireworks and passion on stage. Managing to get a new Canadian Anima Mundi fan to the show I ended up entering the venue thirty minutes late, though. Just in time to see and hear one of my favorite tracks of the album: Endless Star. 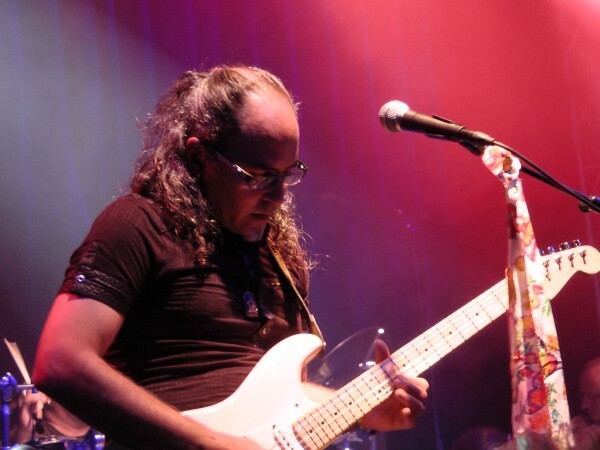 This long instrumental song instantly was a warm welcome to me when guitarist and founder Roberto Díaz recognized me from the stage and sent me a big smile. Roberto also announced a surprise for this song. Like in Helmond last year, Mangrove drummer Remco Engels was going to help out Manolo on drums on Endless Star And because this is a track meant to be played live with some serious soloing, Remco and Manolo made that happen on drums! Anima Mundi brought us two complete setlists. This being the album presentation, The Lamplighter album of course was presented in its entirety first. And after a short brake the second set started. The second set consisted of several well known songs of previous albums. And then for a double encore. With an estimated two hundred or more people present, an eager and enthusiastic crowd, this contributed to a great atmosphere with smiling faces everywhere. 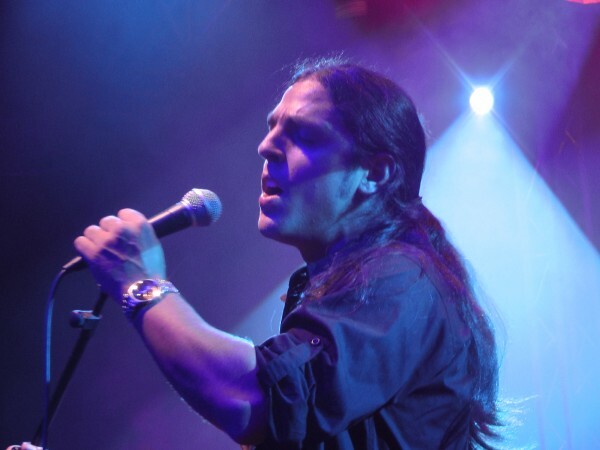 Of course I have to mention Anima Mundi’s new singer Emmanuel Pirko Farrath. This sudden changing of the guard of course has a big influence on everything. And I must admit I was a bit disappointed by Emmanuel’s voice live as I definitely was not on reviewing the album. It could probably be the nerves of course -it’s not easy for Emmanuel, starting with this important gig in a foreign country, with a large crowd who are all used to the voice of Carlos Sousa and will compare- but I must say I did miss the high notes in several songs. Especially on the songs from earlier albums that everybody is used to Maybe this was the reason that Roberto decided to do the live vocals on Sanctuary himself? Still I really think Emmanuel did a good job under these circumstances. I will check again on July 14th at Loreley. As expected this turned out to be a really wonderful night. To see the audience enjoying every second, seeing Roberto and Virginia smiling all the time, seeing Yaroski at easy on his ever thriving bass, seeing big Manolo busy with his high paced feet work and seeing Emmanuel performing with big gestures. A great show with great music made by a great band existing of great people. The expected fireworks on stage were absolutely there. The live presentation lifted the experience of The Lamplighter to an even higher level. Everyone present clearly enjoyed this wonderful evening and sales seemed to went well as it was nearly impossible to get through the crowd at the merch stand to reach the bar after the show. Check out Anima Mundi’s website for dates of the European tour that they started tonight here in Zoetermeer. Top of the bill will be their appearance at one of the most important European progressive rock festivals, the Night of the Prog -better known as the Loreley festival- in Germany this summer. I will be there for sure to enjoy Anima Mundi, hopefully supported by the usual Loreley sunny weather. DPRP's Review of Anima Mundi's "The Lamplighter"
DPRP's Review of Anima Mundi's "The Way"
DPRP's Review of Anima Mundi's "Jagannath Orbit "